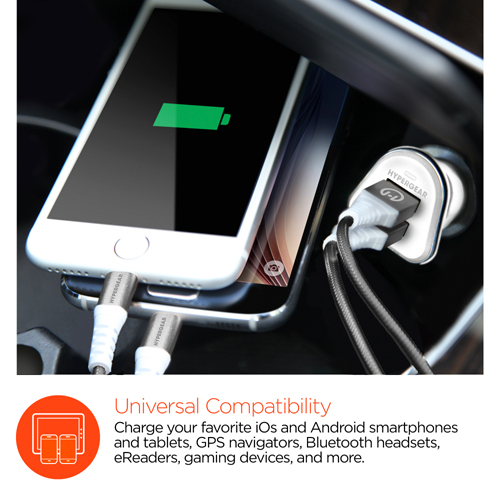 Click the button below to add the Nite Ize Steelie Magnetic Car Mount Kit to your quick list. 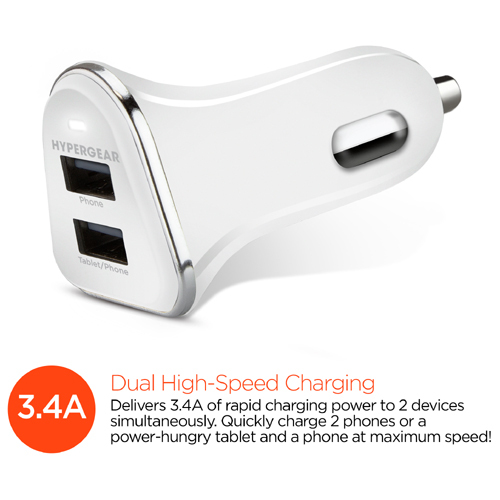 Get the fastest, safest charging for multiple mobile devices available while on the road with the HyperGear Dual USB Car Charger. 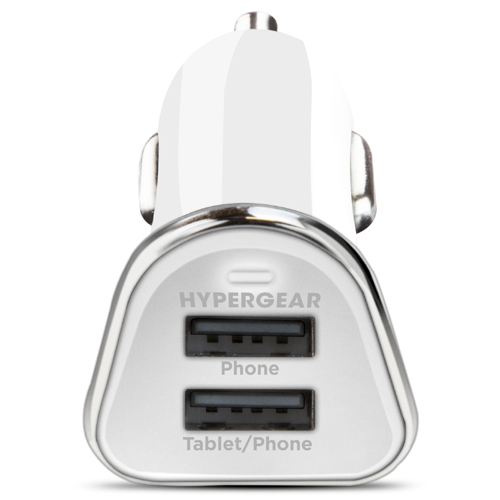 The HyperGear Dual USB Car Charger’s compact design and plentiful power provide unmatched charging for up to two devices simultaneously. Featuring Smart Chip Technology, this car charger communicates directly with mobile devices to safely provide the most rapid charge available. Utilizing IntelliQ Technology, the HyperGear Dual USB Car Charger delivers the best charging experience possible, tailored specifically to your device. 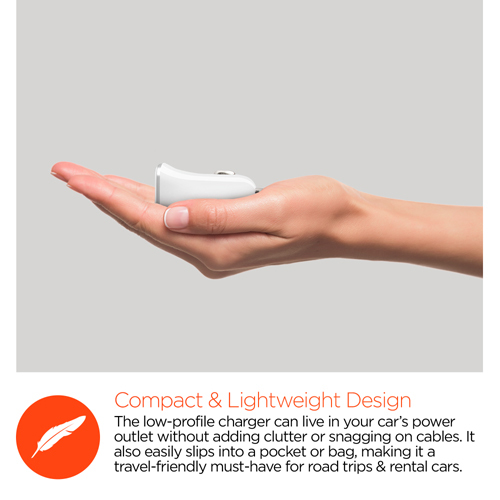 Sleek and elegant, it fits perfectly into any car electrical outlet and can even power multiple tablets at the same time. 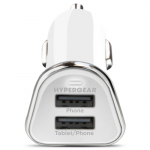 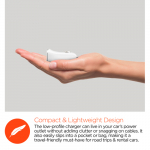 Ideal for anyone who needs more ports and power than a standard charger, the HyperGear Dual USB Car Charger delivers colossal performance in a pocket-sized device!